I spent thirty-nine years in a non-reformed church and was not exposed to the joyous knowledge that expository preaching brings. So much meaty truth about our Glorious God was never taught to me, making my walk joyless and hopeless. In Love That Abides, Part Two, Pastor Wilson takes a well-read foundational text for Christians (John 15:1-11) from the pages and presents understanding of the abiding love of our Father. This sermon exposes many of the reasons why Christians like me found Christianity boring and worthless. It is not my intention (or Pastor Wilson’s) to lord theological knowledge over the heads of unbelievers or chastise those early on in their sanctification. On the contrary, I am determined to refute the soft-Christianity peddled to me and you in the American church today. It has eroded our reason and security. It has made us partial to our temporal lives at the expense of our witness and ultimately our cosmic purpose of increasing the Kingdom. So please read on knowing that my heart is for God’s ultimate blessing, knowing your joy to be full in Him. The apostle Paul, in his letter to the Corinthian church attempted to educate them on the notion that Christianity was not suppose to be cool. He even went so far as to tell them that it was a dangerous and despised life. The church at Corinth was acting out the part of cool mega church of the day with great status and popularity. 8 Already you have all you want! Already you have become rich! Without us you have become kings! And would that you did reign, so that we might share the rule with you! 9 For I think that God has exhibited us apostles as last of all, like men sentenced to death, because we have become a spectacle to the world, to angels, and to men. 10 We are fools for Christ’s sake, but you are wise in Christ. We are weak, but you are strong. You are held in honor, but we in disrepute. 11 To the present hour we hunger and thirst, we are poorly dressed and buffeted and homeless, 12 and we labor, working with our own hands. When reviled, we bless; when persecuted, we endure. Paul’s instructional use of sarcasm (verse 10) with them served to expose their arrogance, worldly-mindedness and boastfulness. It was his divinely appointed job to get them to understand being a suffering saint and why that was important. Myth #2 – I have no fruit because ‘nothing good is in me’. 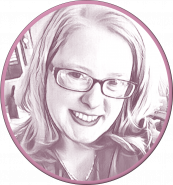 Myth #3 – Ask and Ye Shall Receive! Myth #4 – You can’t know for sure you’re going to Heaven. 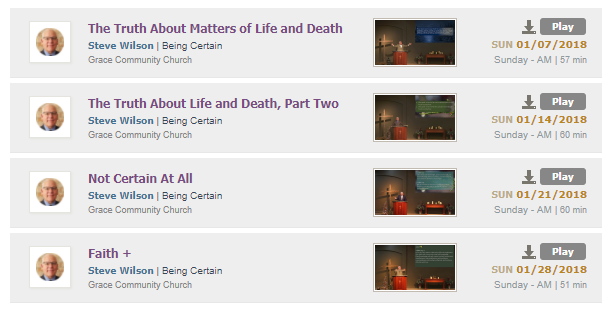 Listen to Pastor Wilson’s sermon series from January on being certain or assured in your eternal position from 2 Peter. It will teach you how to take those rogue thoughts in hand and to be assured in the knowledge of your salvation. John 15:8 says we can prove our salvation to ourselves because we will do good works (bear much fruit.) Again clarity is everything. What He meant by this, as is clarified in 1 Corinthians 15:10 and Galatians 2:20 , is that these “good works” will come without human explanation. They will be supernatural works of the Lord through us. Any good works through only our own human efforts cannot be counted as fruit. Here again these “good works” have to line up with what God wants. It might be awesome in human terms to give to a mission fund but if that mission isn’t God’s mission, then it doesn’t count as fruit. Fruit is meant to feed and multiply for God’s kingdom. Myth #5 – I can love God but decide what is wrong and right for myself. John 15:9-10 makes it clear that you have to keep His commandments and not make up new rules to suit yourself. This is called moralism and it just doesn’t work for God. Psalm 1:1-2 tells us that Christians delight in the law of the Lord. They don’t try to redefine it or work around it. Obedience leads to the inexpressible joy that Peter talks about and the saving of our souls “to the uttermost” as the author of Hebrews (7:25) tells us.